My name is Dr. Andrew Jones, and since dogs and dog care are very important and personal to me, I wanted to write to you myself. I am a veterinarian, and I currently own the Nelson Animal Hospital in Nelson BC, Canada, along with the Second Chance Animal Shelter. I've been a practicing veterinarian for over 17 years. 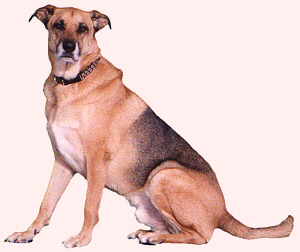 During many of those years I was the proud owner of "Hoochie", a beautiful mixed breed dog who brought joy and companionship to me and my family. 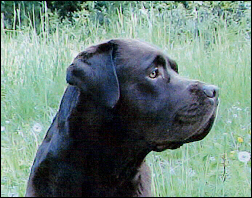 But as I am writing you today, my beloved Hoochie is no longer with us. He passed on at the young age of 8... from a deadly Spleen cancer that I now know could have been prevented. I thought that Hoochie was incredibly healthy - as healthy as a dog could be. Slowly, I began to notice something unusual about Hoochie. He just wasn't the same. He was reluctant to go for his morning walk, which was always the highlight of his day. I dismissed it as him feeling a bit off or maybe a touch of arthritis... but it didn't pass. In fact, it got worse. I eventually did a blood test on him thinking he had a tooth infection. I quickly found out that he had a spleen tumor, and that very soon, he would die. I performed surgery on my own dog, removing the spleen tumor. But, it had spread to the liver, and I knew that he only had a short while to live. 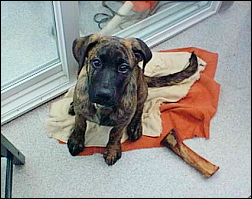 Mixed Breed Dog Die So Young? I did all the "right" things - or so I thought. After grieving, I came to realize that some of the things I had done had played a role in him dying at too young of an age. This was hard for me to face. Here I was, a trained professional with years of experience... and yet I was partially responsible. I came to question exactly how I was taking care of my pet - and the way I was telling other people to care for their animals. I came to realize that I and most other Veterinarians are not "getting it" - that in the process of trying to keep our pets healthy, we are actually making them sicker! In fact, this is the SINGLE most important reason why my dog Hoochie developed Spleen Cancer and died. Pay close attention, because what I'm about to share with you could very well save your dog's life. It seems as though the more fancy dog foods that come out, the more sickness and cancers us veterinarians are seeing every day. It's heartbreaking. The book is shocking, well researched, and very disturbing. Her two dogs became very sick after eating a dry dog food. The food was analyzed by two independent labs, as well as a Ministry of Agriculture lab. The independent labs determined there was a toxic level of zinc in the dog food. After nine months of waiting for the government lab to finish its testing, the results indicated there were no toxic mineral levels. She took the pet food manufacturer to court to recover the costs of her veterinary bills and the testing, and subsequently lost the case. This began her seven-year investigation of the pet food industry. "Television commercials and magazine advertisements for pet food would have us believe that the meats, grains, and fats used in these foods could grace our dining tables. 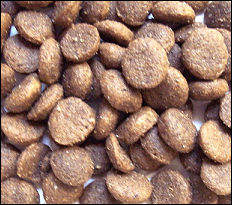 Chicken, beef, lamb, whole grains, and quality fats are supposedly the composition of dog and cat food. In my opinion, when we purchase these bags and cans of commercial food, we are in most cases purchasing garbage. Unequivocally, I cannot state that all pet food falls into this category, but I have yet to find one that I could, in all good conscience, feed my dog or cats. Pet food labels can be deceiving. They only provide half the story. The other half of the story is hidden behind obscure ingredients listed on the labels. Bit by bit, over seven years, I have been able to unearth information about what is contained in most commercial pet food. At first I was shocked, but my shock turned to anger when I realized how little the consumer is told about the actual contents of the pet food." The long and the short of it is that today's pet foods are made up of waste that is leftover from processing human food - blood, bone, ligaments, tails, etc. Don't you think it's fair to say that there would not have been a recall if efforts were made to ensure the food was safe for consumption in the first place? How Is This Possibly Happening? The sad truth is that the pet food industry is largely self-regulated. Yes, they try to test the food to see if it causes diseases, but they are more interested in the answer to the question, "Can we get sued for this?" than, "Is it actually HEALTHY?" So... while pet food doesn't necessarily contain contaminants... it does NOT necessarily contain everything your dog needs to stay healthy... more than likely it contains just what dogs need to "get by". If you were to pick up a can of dog food 10 or 20 years ago, chances are you would see that the main ingredient was "animal protein". These days, the main ingredients are typically GRAIN and FAT... which is essentially just filler. They contain very little of the vitamins and minerals that actually make your dog thrive. And what about the premium food that claims to be "healthy"? 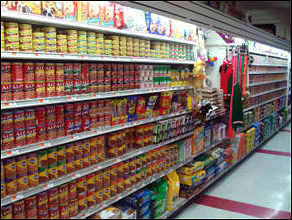 Fortunately there is some decent food out there for dogs that does meet the "recommended" daily allowances of vitamins and minerals... but remember... these "recommendations" were created by the same industry that creates the food itself, and in my professional medical opinion, they just aren't enough to keep your dog from becoming sick. Think about it: You know that as a human it's important to regularly eat the right amounts from all 5 food groups to keep your body in the best possible condition. Would you agree that people who do that are probably far healthier than those who eat recklessly? Now... we humans can get away with "straying" a little bit... I'm sure you've missed a few veggie or protein servings in your day, as have I. Unfortunately, dogs don't have it so easy. With all of the factors stacked against your dog these days... it's crucial that you as a loving owner provide your dog with the full amount of ALL of the essentials he or she needs. Not just those that meet the industry's so-called "recommendations". Unfortunately, it's likely to be the same thing that happened to my dog. Your Dog's Life Is In YOUR Hands! When we humans decide to eat more unhealthy foods than we should and pass on the proteins and veggies... it is a conscious choice. But... your dog doesn't have a say in what he or she gets to eat. By the simple fact that you are reading this right now, I can tell that you have already made a commitment to your best friend to keep him or her healthy... and I commend you for that. that they need every single day. Until now, there has been NO practical way to get your dog all of the nutrition he or she needs. 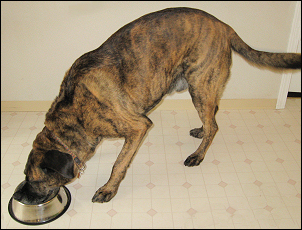 As we've already discussed, "off the shelf" dog food simply won't cut it, and even if you are making your own dog food at home, it's still not easy to guarantee it contains everything your dog needs to be in tip top shape. And just as with pet food... many of the over-the-counter dog supplements and vitamins simply don't contain all of the ingredients and additives your dog needs. Most lack sufficient amounts of the essential vitamins and minerals... or leave out important nutrients altogether... especially those that are more expensive and difficult to produce. Unfortunately some of these costly ingredients are the most important. I decided that if I was going to truly make it easy for loving dog owners to guarantee that their dogs received the proper nutrition they needed every single day, I was going to have to develop my own dog multi - supplement. And of course... spare no expense when it came to the amount or type of ingredients it needed to keep a dog healthy. Your dog needs an EXTRA ADVANTAGE. And I think you know your dog deserves it. When I set out to design this supplement, I was determined to make it the "be all, end all" solution for pet owners who truly wanted the best for their animals. I began by doing extensive research on what dogs miss out on by store-bought food... as well as figuring out what kind of boosters a dog REALLY needs to take its health to the next level. This supplement contains every single ESSENTIAL vitamin and mineral that is most often lacking in commercial canine diets... along with a HUGE number of KEY ADDITIONS for Joint Health, Intestinal Support, and Immune System Strengthening. 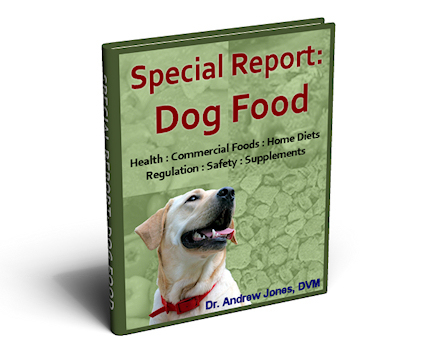 I've included the MOST IMPORTANT Vitamins, Minerals, Immune Additives, and Key Natural Remedies to prevent the most common dog diseases that I see today. My supplement is a powder so dogs of all sizes and breeds will benefit equally, and receive the correct amount of vitamins, minerals and Immune Boosting additives for their individual sizes. By just sprinkling just a spoonful of my custom-designed nutritional supplement mix over your dog's food every day, you'll be ensuring your dog is getting all of the necessary nutrition he or she needs. It sounds good... BUT what can this really do for my dog to PREVENT illness and treat disease? If your dog is middle aged, then your dog is getting to the point where they are at a very high risk for cancer and other diseases. The nutrients found in this supplement are exactly what your dog needs to flood their immune system with newfound strength to push out any invader that threatens his or her life. If your dog is getting up there and showing signs of slowing down, don't be surprised if this supplement restores some of his or her youthful energy and excitement for life. You'd be surprised at what a difference getting the proper nutrients can make... not just in a dog's physical health, but in their attitude. It's no secret that we have a pretty unhealthy population of dogs... our canine population is sicker than ever before in history. 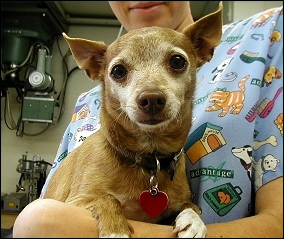 I am seeing illnesses that revolve around a breakdown in our dogs' immune systems. Has your dog had ANY of these diseases? If the answer is YES, then I suggest that you supplement with my Ultimate Canine Health Formula as it will aid in treating most of those serious health disorders. If the answer is NO, then you should be looking at doing WHATEVER you can to ensure that Your beloved dog doesn't get any of these unwanted diseases. It makes so much more SENSE to prevent these diseases and disorders before they happen. One of the things I advocate is to always check your sources... and one of the best ways is to hear what other people like you have to say. I've had fantastic feedback about my supplement - dogs everywhere are moving better, scratching less, and enjoying life more! Go Here to read some of the WONDERFUL comments I've received about Ultimate Canine. Tastes BETTER than a "Treat"
Ultimate Canine Health Formula is a delicious, easy to sprinkle powder that tastes so good, that your dog will think it's a "treat". MANY of the dog supplements or formulas use slimy liquids or pills that you have to shove down your dogs throat. But not Dr Jones' Ultimate Canine Health Formula. My Ultimate Canine Health Formula is not a drug, but rather a "natural" supplement... making it completely safe for your dog, and worry-free for you. Do you remember the Pet Food Recall that I mentioned above? Thousands of Dogs were poisoned by toxic Pet Food - food that contained un-natural ingredients that came from China. I KNOW where all the ingredients in my Formula come from, and I absolutely guarantee their safety - NO outsourcing to unknown suppliers from any shady country. This is the only supplement I give to my own dog, Lewis. There are many brands of nutritional pet supplements available, yet lab tests have shown that many products do not actually contain the labeled amounts. With my Ultimate Canine Health Formula you can trust what's on the label - and what's in the product. Here's why. ALL ingredients are Human Grade - which means a Higher Standard than almost ALL other dog supplements. Once the materials are blended, they are tested again to ensure they match the label claims before formulating the product. All testing is conducted by an independent 3rd party lab and all manufacturing of Dr Jones' Ultimate Canine Formula takes place in an FDA approved facility and complies with Good Manufacturing Practices (GMPs). In the facility they do a ton of quality control and 3rd party testing to ensure that the ingredients are exactly as stated, that they are active, and that they contain no harmful bacteria or toxins. There is no better and faster way to guarantee with absolute certainty that you are taking the best possible care of your beloved animal. I am not kidding when I say your dog will love you for it... and you will actually be able to SEE the effects in his or her daily behavior. If you'd like to learn more, see our Frequently Asked Questions page. Get your trial order today! And be sure to send me an email to let me know how it works for your dog. I look forward to hearing about your pet's improved health, happiness, and vitality!